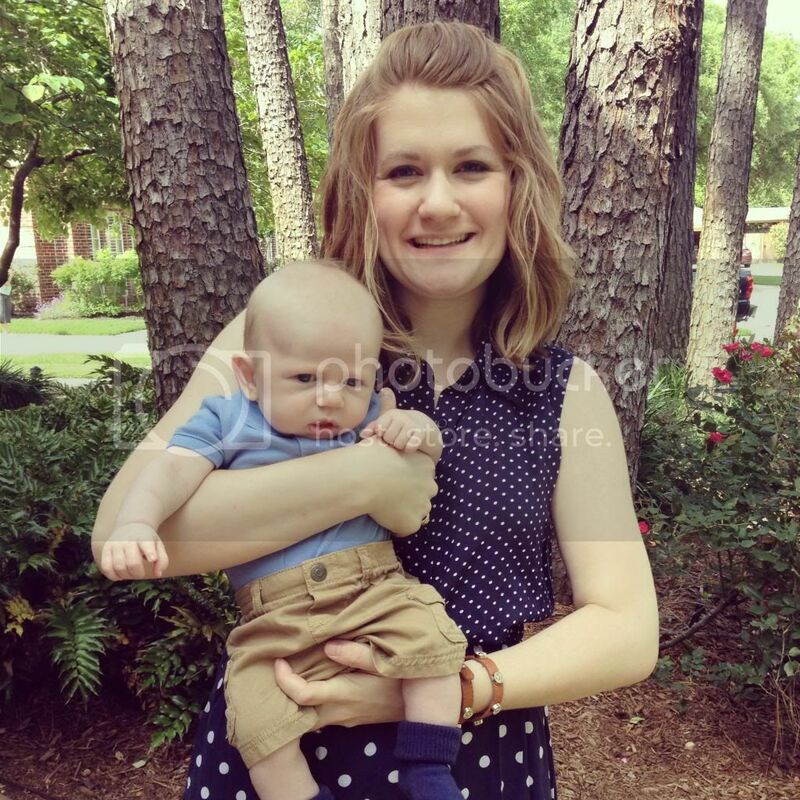 Jordy Liz Blogs: The sorority of motherhood. Today was my first official Mother's Day as a mother. Last May, I didn't expect to be a mother this May. I thought that maybe I'd be pregnant. And here I am with a two-month-old. I love how life works in its own way. We drove up to the small Texas town of Nacogdoches on Saturday along with the rest of the graduating class's families. The parking lot was packed and we made our way up to the coliseum with a baby in tow. As we neared the entrance, we got separated and I ended up alone with Liam. I needed to use the restroom and he needed to be changed and so there I stood in line to the women's restroom. Except there was one of me. And I had a baby in my arms. I think it's a right of passage into motherhood when you successfully use the restroom while holding a baby. Just saying. When we walked out, I had officially lost my family. Liam was hungry and the ceremony hadn't started yet, so I dropped my diaper bag in front of me, stood back near the exit doors and juggled a crying baby while fishing out a bottle from the side pocket. As I struggled with trying to mix the formula into the prefilled bottle, a sweet woman walked up to me. Normally, I'd say, "Nope! I got it!" That's just how I am. I refuse help. But the day I became a mother, I screamed for help from the start. I'll take any help I can get. Because I realized that when you have another human being to raise and care for, one can't get enough help. "Yes," I said. And I kept juggling both the baby and the bottle. "Can I shake the bottle for you?" she said. And it's like she read my mind. She just knew what I needed. I nodded and said please and she mixed the bottle for me. "How old is he?" she asked, and I told her he was just eight weeks old. "Mine is, too," and she handed me the bottle and walked away. On Saturday, I got my first real glimpse into the sorority of motherhood. Mothers helping mothers. Women getting women. Shaking bottles that need to be shaken and grabbing burp cloths dropped in the midst of juggling. We don't have to ask or beg. We just have to nod and say yes, I'd love a helping hand if just for a minute. I am blessed to be in that special sorority this Mother's Day. I didn't expect it, and I sure don't deserve it, but Liam gave me the ticket in. Well done that mum - you're right it is a fantastic sisterhood!